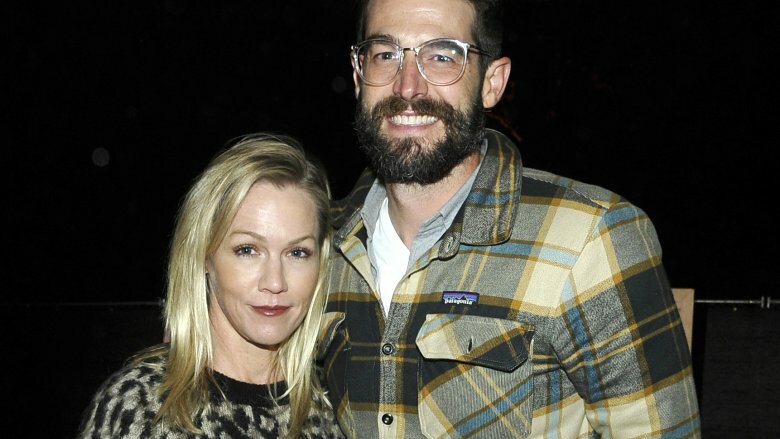 Actress Jennie Garth and her restaurant owner husband, Dave Abrams, are giving their marriage another chance. Earlier this week, Abrams reportedly filed court documents requesting the dismissal of his divorce petition against the former Beverly Hills, 90210 star, The Blast reports. At the time of this writing, Garth, 46, and Abrams, 37, have yet to publicly comment on the news of their alleged reconciliation. Additionally, further details surrounding the legal docs have not been released. 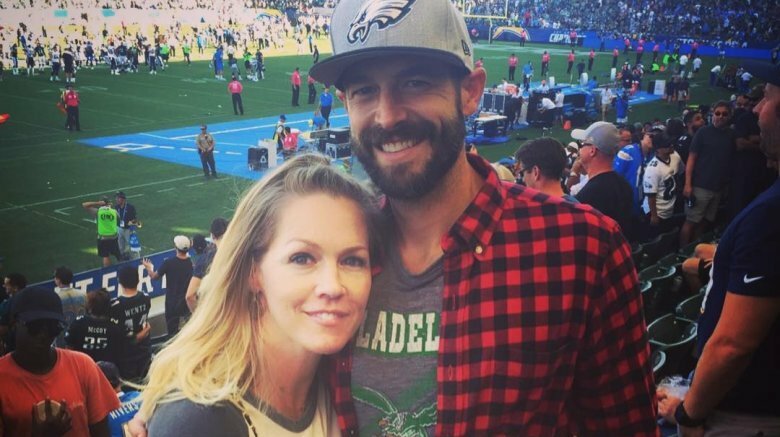 However, the TV star's rep has since told People magazine, "They have been working hard on their relationship and they're in a really good place now. They're very happy." As Nicki Swift previously reported, Abrams initially filed for divorce in Los Angeles County after nearly three years of marriage. Citing "irreconcilable differences" as the reason for the split, he listed the on-and-off couple's date of separation as Aug. 29, 2017. Rumors that the two may have been headed toward Splitsville first broke in November 2017, when they appeared to no longer be living together. Around that time, the What I Like About You actress took to Instagram to share a since-deleted message about staying strong with her fans. "Resilience means the capacity to recover quickly from difficulties," Garth wrote in part (via People). "But it doesn't mean we'll never experience sadness … Resilience allows us to overcome and bounce back from heartache stronger and more flexible than before." Garth and Abrams, who met on a blind date in 2014, tied the knot the following July in an intimate ceremony held at her home in Los Olivos, Calif., according to Us Weekly. The happy occasion marked Garth's third marriage. After calling it quits with David Clark in 1996, she and actor Peter Facinelli ended their marriage in 2012 after 11 years together. She and Facinelli share three daughters: Luca, 21, Lola, 15, and Fiona, 12. Not long before Abrams withdrew his divorce filing, the married pair were spotted together at a Los Angeles Lakers game in late January 2019, according to multiple media outlets. In related celebrity romance news, pop star Justin Bieber and model Hailey Baldwin, who got hitched in September 2018, recently spoke with Vogue magazine about their whirlwind romance. "The thing is, marriage is very hard," Baldwin told the publication. "That is the sentence you should lead with. It's really effing hard." However, it sounds like the on-again-off-again pairing are similarly willing to put in the work when it comes to their relationship. "We're coming from a really genuine place. But we're two young people who are learning as we go," the Drop the Mic co-host continued, adding, "We're going to change a lot. But we're committed to growing together and supporting each other in those changes."